Showings will start Weds. May 27th. with Offers on Tues. June 2nd. Character home. Spacious front foyer with a bay window & hardwood floors. Living room & Dining room with hardwood floors, oak trim, built-in bookcases & wainscotting. Remodeled Kitchen with maple cabinets, double stainless steel sink, built-in dishwasher, and eating area overlooking the yard & river. Gorgeous oak staircase with wrought iron railings to 2nd floor. 3 bedrooms on 2nd floor. Master bedroom has wall-to-wall closet with an organizer & a sitting/office area with a wall of windows overlooking River. Main 4 piece bath was recently remodeled with Kohler white fixtures, and a jetted tub which overlooks the River. 3rd floor has 1 or 2 bedrooms, 1 is currently used as the Music room, with a remodeled 3 piece bath with a neo-angle shower. Basement is finished with a Recroom with berber carpeting & pot lights,extra 2 piece bath, storage room, cold storage & laundry room. 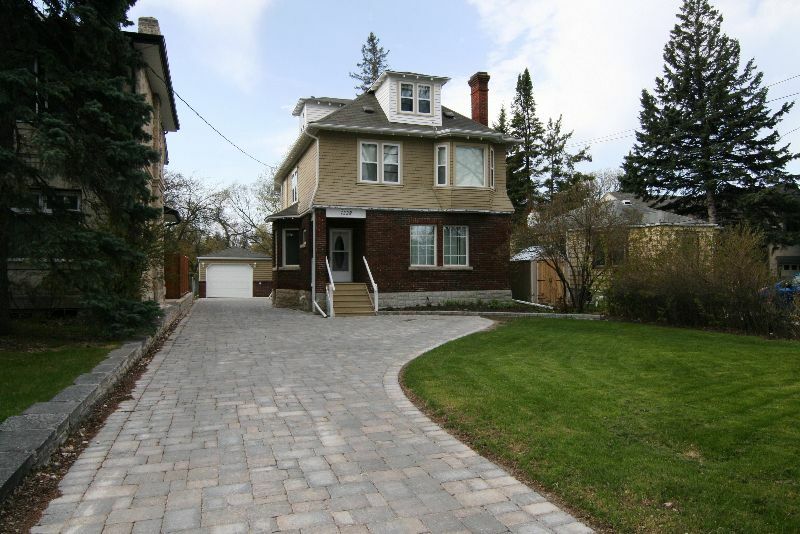 Barkman driveway with a new Garage, patio area, gardens, storage shed & garden shed. Do not miss your opportunity to live on the River! Todd & Shauna Sykes Sells Wolseley!